Give commercial lighting personality with the 12" Domed Shade and hooking gooseneck arm combination. This all-aluminum light fixture has a chic silhouette, perfect for contemporary restaurants and stores. Use commercial outdoor goosenecks to illuminate signage, awnings or along a storefront. And for a custom touch, rust resistant powder coated finishes are available in 25 colors (5 available at no added cost). The Domed Shade Gooseneck Light comes standard wired for 200W maximum incandescent service. For made to order lamping upgrades, please call for details on compact fluorescent (CF), energy efficient LED or high-intensity discharge (HID) gooseneck lights, including metal halide or high pressure sodium. Please note non-standard lamping may require different ballasting. 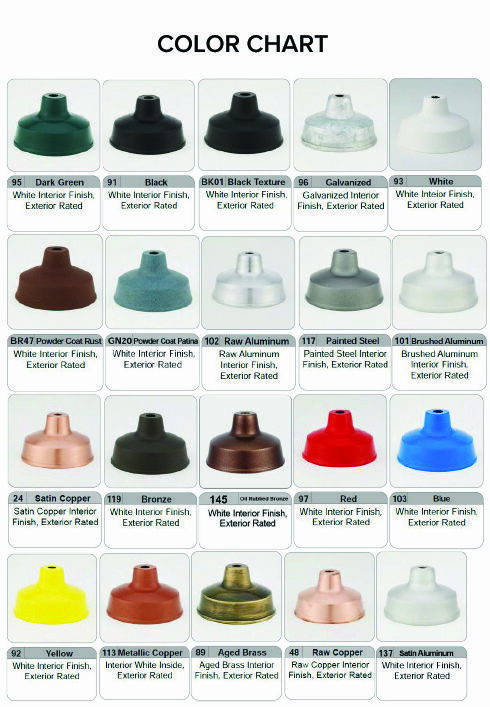 Incandescent gooseneck lights install to most any standard recessed 4" square or octagon junction box.